Why Buying Gemstones for Sale Cheap Online Can Be Risky! Treated Gemstones vs. Untreated Gemstones and Why Buying Gemstones for Sale Cheap Can be a Huge Risk! The fact is that Ebay and other online sites represent an avenue for people to source gemstones for sale cheap. However, many gemstones on the market have undergone some sort of treatment to improve color and appearance. We’ve already discussed heat treatment, and in addition to that, other common gemstone treatments include Beryllium, Diffusion, Fracture Filling, and Irradiation. 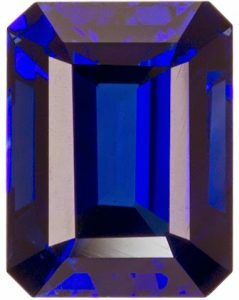 To elaborate, Beryllium treatment, used mostly for Orange and Yellow Sapphires, is when the element Beryllium is added during the heating process. Diffusion, which is one of the more controversial treatments, exposes a gemstone to chemicals and high heat to change the surface color only. Fracture Filling uses oil, wax, glass, epoxy or borax to fill tiny cavities or “dead spots” that interrupt the passing of light through the stone. Oiled Emeralds are extremely accepted and in this case the treatment does not affect the price, but glass filled Rubies, on the other hand, are sold at much lower values. Irradiation is the treatment responsible for the blue color in Topaz, as blue Topaz gemstones are actually extremely rare in nature. The treatment exposes the gem to radiation which alters the way the crystal structure absorbs light, thus modifying the color. Continue reading Why Buying Gemstones for Sale Cheap Online Can Be Risky!